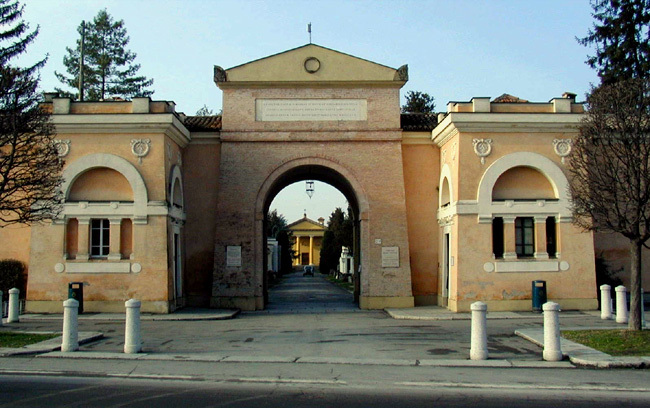 La Villetta, the monumental cemetery at Parma, takes its name after the farm that Duchess Marie Louise of Austria (Napoleon's second wife), who ruled the city from 1816 to 1847, chose as the site for the city's burial ground. 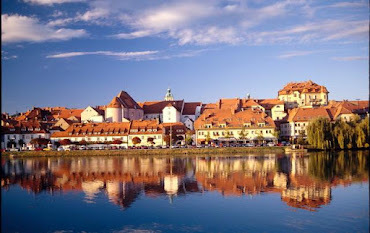 The first burials took place in March 1818, during a typhus epidemics that ravaged the town. The final design (1818) outlined an enclosure that was square on the outside and octagonal inside, with 156 arcades hosting the chapels of important, wealthy families and of religious onfraternities, and four fields for the common people. By the end of 1868, the building was completed. In the late XIX century, two galleries were added to expand the cemetery north- and southwards. In the 1930s a new enclosure, with a number of arches, was built on the north side. A number of important personalities, some of them of world renown, are buried at La Villetta, first and foremost Niccolò Paganini and Ildebrando Pizzetti. Sometimes, visitors hear music coming from the section hosting Paganini's tomb: it's a young violinist paying homage to the great Maestro. 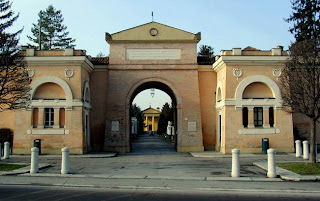 Oglejte si La Villetta Cemetery, Parma, Italy na večjem zemljevidu.